An intense paranormal love story featuring Romeo and Juliet, literary history’s most tragic couple, who meet again, not as true lovers, but truly as enemies. Juliet Capulet didn’t take her own life. She was murdered by the person she trusted most, her new husband, Romeo Montague, a sacrifice made to ensure his own immortality. But what Romeo didn’t anticipate was that Juliet would be granted eternity, as well, and would become an agent for the Ambassadors of Light. For 700 years, she’s fought Romeo for the souls of true lovers, struggling to preserve romantic love and the lives of the innocent. Until the day she meets someone she’s forbidden to love, and Romeo, oh Romeo, will do everything in his power to destroy that love. Me? I’m the kind of girl who think’s that the Romeo and Juliet love story is not an epic romance, but an epic case of insanity. At the very beginning of the drama, Romeo is obsessed with a girl named Rosalind but as soon as he sees Juliet, he instantly falls in love with her (and we all know how I feel about instalove). Moving along, Romeo and Juliet get married. I know that people got married early in those days but please keep in mind that these were 14 and 15 year old kids who met and fell in love within 3 days. Crazy, right? If you think that’s bad- I haven’t even started yet. A mere few hours after getting married, Romeo goes ahead and offs Juliet’s cousin (in the name of self defense). But the part that irks me most about this loony story is that both of them commit double suicide. Even worse is that this willingness to kill one’s self for the sake of love is glorified and touted as proof of ‘twu wuv’. So as soon as I saw this quote in this book, I kind of fell in love. This was after I realised how much I liked having Romeo and Juliet locked on opposing sides of a war with Juliet protecting young lovers and Romeo in his batshit crazy way, coercing them to kill each other. Like, woah! I really, really liked the idea of Juliet attempting to annihilate Romeo instead of sighing over him. Juliet had a very clear, unique and easily identifiable voice. She was a seven hundred year old cynic who had died at age fourteen but was stuck inside a sixteen year old’s body. When you finally wrap your head around all that, you’ll appreciate how hard it had to be for Stacey Jay to portray Juliet. Even though Juliet, as a rule, has a hard time trusting people, for an immortal she shows an unprecedented amount of compassion. Surprisingly, despite the fact she’s beemake even though it made her so jealous. Romeo…Oh! Romeo was totally and completely crazy. 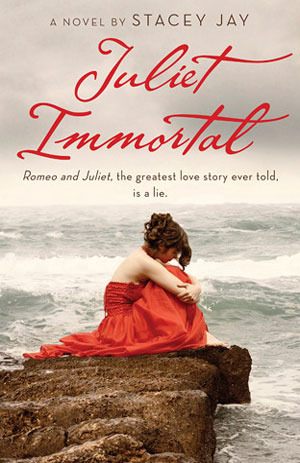 If there was an asylum for immortals, Romeo would have a place. Perhaps the most frightening thing about him was his utter disregard for humans and their ambitions. Or maybe it was the fact that he could lie without telling a lie and then when caught in the act, justify it all. Despite his evil ways, Romeo, like all seductive players, has a charismatic sort of narcissism. You can kind of see why Juliet fell for him in the first place. Well that and the poetry. Ugh! No to the romance. Ben is a sweet enough character I guess (who would have thought that he had anger issues? but the romance was love at first sight. How could Juliet be stupid enough to think that love at first sight was possible, again? I mean she must have seen where insta-love had gotten her in the first place: With a knife in her back. Literally. So why was she masochistic enough to go and do it all over again? The ending was as terrible as the romance. It was a quick, abrupt deus ex machina which made no sense at all. The rest of the book was beautiful; why did the ending have to spoil it all. The insta-love. And the fact that Juliet’s going thorough the whole fiasco a second time. Enough said. At times, this book was beautiful and poignant. I loved the whole new take on the epic Romeo and Juliet romance. I loved the setup of the world. So yeah, this book IS worth reading. However, the book has a few flaws- most notably, the instalove. I guess you can’t escape instalove if you want to read YA paranormal romance. <sigh> Pity. Here’s a collage of the most beautiful young adult covers ever. They’re attached to some pretty good books too. So if you get the chance, do read them. Graceling meets Beauty and the Beast in this sweeping fantasy about one girl’s journey to fulfill her destiny and the monster who gets in her way-by stealing her heart. With no choice but to fulfill her duty, Nyx resents her family for never trying to save her and hates herself for wanting to escape her fate. Still, on her seventeenth birthday, Nyx abandons everything she’s ever known to marry the all-powerful, immortal Ignifex. Her plan? Seduce him, destroy his enchanted castle, and break the nine-hundred-year-old curse he put on her people. What I liked the book the most for was the main character. Nyx is not a good girl. Not at all. She kind of hates her aunt, resents her father and is deeply jealous of her obedient and beautiful twin sister. In fact the last thing she tells her sister is that she hates her and their mother’s death was her fault. Outrageously shocking, right? Wrong. For the sake of his wife, Nyx’s father agreed to give away one of his daughters in marriage (read exchange them like they’re property) to a monster. By some cruel twist of fate (or maybe it was just a bad bargain), Nyx’s mother dies in childbirth and Nyx’s twin, who is lucky enough to look exactly like her mother is spared. However, this means that Nyx is the one destined to marry and kill the Lord of Bargains. It’s death sentence but no one in her family seems to understand the sacrifice she is making. Wouldn’t you resent and hate your family too if they were insensitive enough to make a plan to send you to your death without even a hint of sympathy? So, Nyx has a bit of a dark streak. But at the same time, she’s terribly noble, clever and brave. It’s impossible not to root for her after reading a few pages. She has a very strong sense of justice and is hugely empathetic. Ignifex is Nyx’s husband and he’s…for lack of a better word amazing. His sense of humour is strong and tends to be inappropriate at times (he’s the kind of guy who cracks jokes for fun, cracks jokes to break the tension, cracks jokes at serious times- basically he cracks a lot of jokes).His sense of humour juxtaposes with his reputation of being a dark, mysterious being who cheats people out of their lives, their family and generally their own happiness. He’s a bit of an enigma, really. And he’s completely (not just a bit) bipolar. At one second he could be warning his ‘wife’ with a deep, profound metamorphic story and then the next he would be saying something sarcastic and witty, making you (and Nyx) wonder what he really meant. Ignifex is the type of character who keeps you on the very tips of your toes, alternatively rolling your eyes at the cheesiness of his pickup lines (did they have pickup lines in medieval times?) and then leaning forward wondering if he had finally unveiled some great mystery about himself. He simultaneously infuriates and intrigues Nyx and their chemistry is very obvious. A lot of things are ambiguous in this book. And the romance in this is one of them. I’m still not clear if there’s a love triangle or not. Shade is a servant in Ignifex’s servant, he’s a shadow at all times during the day but during the night he wears a face exactly like Ignifex’s. At first I thought he was the ‘good guy’ because he actively helps Nyx find a way to destroy Ignifex and is portrayed to be gentle and sweet but like all the characters in the book, he’s a grey character who has done his share of horrendous things. At one point we are told, that Shade is Ignifex’s opposite; what Ignifex has, Shade does not and what Shade has, Ignifex does not. I couldn’t really understand the ending. It was beautiful and it was profound but I wasn’t able to apprectiate all the the depth of the ending. Cruel Beauty is a beautiful book which is about the consequences of one’s actions, shades of grey and sacrifice. All of these are very ambiguous topics so it’s not really a surprise that this book is unclear at some points, using metaphors which you have to read a couple of times to truly understand. I don’t understand why the blurb markets this book as a simple, frivolous, fun fairy-tale; this book is not exactly light reading (although it is pretty fun). At some parts it can get dark and at others it gets very deep. If you’re looking for a good young-adult book based on a fairy tale, then I would recommend this book to you. It’s beautifully gritty and dark- just like a REAL fairy-tale (not a Disney one) so you might want to keep that in mind when you finally pick it up to read. Orphan Meg Fellowes makes her living picking pockets—until she steals from the wrong nobleman. 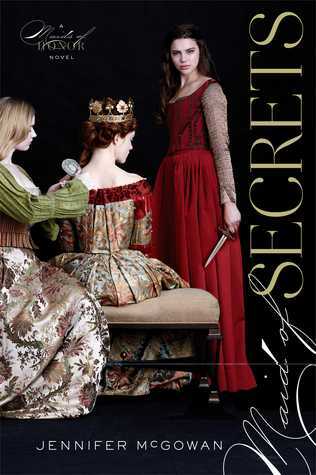 Instead of rotting in prison like she expected, she’s whisked away to the court of Queen Elizabeth and pressed into royal service, where she joins four other remarkable girls in the Maids of Honor, the Queen’s secret society of protectors. I always love a protagonist who is a little bit bad. Assassins, mercenaries, traitors to their kingdoms, etcetra, etcetra. It’s all in the moral dilemma. Plus, it’s always nice when the narrator is a bit spicy and not completely made of sugar. So when I saw this historical fiction set in Queen Elizabeth’s court about a pickpocket, actor and eavesdropper who was fresh off the filthy, crass streets of poor Victorian London, I was immediately intrigued. Combined with the promise of an interesting romance and a lot of spy work, this book was irresistible. And it did a pretty good job living up to it’s promise. I adore Meg. She is smart and witty. I love the constant references she makes to theatre and acting. Although she may be a thief (or later a spy) by profession, Jennifer McGowan makes it pretty obvious that her true passion is acting. And Oh God! She does act well! Even when she finds herself in unfamiliar situations where her first reaction is to flounder, she is able to don an actor’s mask and get what she wants. Yet, throughout the book she’s able to retain her air of innocence. She’s almost simplistically naïve about the fact that her Majesty’s spies may ask her to spy on them. Her discomfort with kissing and being in love and her clumsiness when she has to pretend to be both is simultaneously amusing and relatable. The other maid’s were portrayed very stereotypically. There’s Jane the practical (I’m not sure what fits her best) killer, assassin?, Anna the smart one, Beatrice the pretty seductress (think mean girls) and Sophia who can see the future. However I’m still pretty sure we’ll be able to see more depth in these characters. This book focused on Meg alone; the other books promise to focus on each maid of honor. Maid of Deception, which releases later this month will be Beatrice’s story. No cliff-hangers. No happy ever after. I kind of want to know what happens next but I don’t think another book from Meg’s point of view is necessary. I’m definitely looking forward to reading from Beatrice’s point of view. She strikes me as a super interesting character and I hope she mentions Rafe and Meg’s romance (at least in passing). This was a very fun read. It probably wasn’t linguistically accurate for the time (although kudos to Jennifer McGowan for trying); it probably wouldn’t have much sense to me if it was though. From what I know of sixteenth century London, it’s accurate enough. This was a fun read and it’s rare that I can say that for a historical fiction book. I’d definitely recommend this book to any teenage girl. I think you’d like the spy aspect of it, the gradual friendships and the romance. At the same time, you won’t be bogged down with too much history or court politics. A huge part of reading young-adult is the romance. And as a young adult, it is impossible not to go through a couple of books without really loving how two characters go together, appreciating their chemistry and just sighing at their combined cuteness. So this is going to be a post on the ships that I love, love, love. Why: There is nothing cuter than this couple; they have so much history. The angst that they share and how they reach out to each other is truly heart-breaking. But what gets this the number one spot on this list? They say the sweetest things. Couple Name: Willyra? Lyrill? Oops. Both of them sound pretty bad. No cute couple names for them; It’s a good thing that both of them have short names. Why: These two have a very sweet relationships. Both of them are strong, brave, impetuous and beautiful. They would do anything (and they did a lot) to protect each other. The romance never really got far (they were about 12 years old in the books, how far was it supposed to go?) but there was so much possibility and potential. The end of The Amber Spyglass was the saddest, most beautiful ending I have ever read. Here’s a picture of it. Couple Name: Finally a couple with a well-known couple name that actually sounds good. Drumroll please! May I present to you: Malec. Why: Although this was never the main pairing in the series, it stole all of our hearts anyways. Magnus is a flamboyant glitter-loving warlock while Alec is a tough, closeted and fiercely protective shadowhunter. These two are so much more than the token LGBT characters. They’re well rounded characters who occasionally have problems in their relationship- just like anyone else. Couple Names: Oh God! This couple name was doomed from the beginning. Penryn was named after a highway exit and Raffe sounds suspiciously like ‘raw feet’. So, Penaffe? Renryn? I didn’t think so. Why: Angelfall is my favourite angel book ever (maybe even my favourite paranormal) and a huge part of it is due to Penryn and Raffe. I loved the witty banter that they kept up throughout the book. I loved that both of them were total badasses (this is more rare than you would think in a paranormal book) who took turns rescuing each other. I loved their loyalty towards each other and how it sometimes made them do stupidly dangerous things. Couple Names: Luby? Riam? Okay, I think I prefer Riam. But not by much. Why: Because the good-guy is seriously under-rated in young adult fiction. Liam was heartbreakingly sweet (even if he was naïve) at sometimes. He was just perfect for Ruby who was seriously traumatised after just escaping a concentration camp where she had been forced to stay for several years. Also, it’s pretty rare in fiction to see such a powerful, strong and self-assured girl . Let me tell you it was refreshing. Disclaimer: I own none of these pictures. I just…borrowed them. They belong to their respective artists. What’s a girl to do when what she wants is totally different from what she needs? How do you figure out the person you’re meant to be with if you’re still figuring out the person you’re meant to be? Yes, I thought the cover was really cute but in this case it was the blurb that drew me in. I was practically salivating to read this book after reading the blurb. For one thing, it promised lots and lots of girl power. If you want another reason, I’ll give you one: I secretly (not so secretly now) love the whole premise of pretending to date someone to make someone else jealous. And this book did not disappoint. This book had girl power galore. 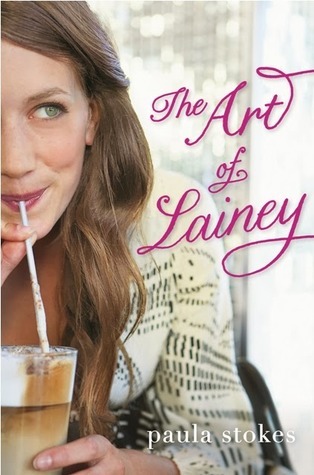 Lainey uses the help of the Sun Tzu’s famous book ‘The Art of War’ to make her ex-boyfriend see what he’s really missing out on. At first her tactics were a bit obvious and weak but then she grows to be a skilful manipulator. At the same time she never loses her sweet, innocent and (maybe just a little bit) idealistic side. This book celebrates friendships- both new and old- ,the unconditional support they give and how they always do what (they think) will be best for you. I really didn’t like Lainey at the beginning. She’s beautiful, popular, athletic, etc. etc. Worst of all is that she acts totally entitled and snobbish looking down on people who don’t act like her or choose to look different. When her boyfriend breaks up with her, she gives such shallow reasons for why it was a bad idea. In the first hundred or so pages, I repeatedly cringed at Lainey and her desperate, stalkery behaviour. But her lies the true beauty of the book: Lainey’s opening of her world-view is gradual and it feels so realistic. As a character she grows quietly and sweetly, empathising with people she would have never talked to before, going places she never would have before and taking the freedom and time to develop her own personality instead of conforming to her friend’s expectations. This book really struck a chord with me. Yes, Lainey can be selfish and shallow. But then, that’s part of being a teenager isn’t it? . She’s ordinary enough to make you feel like she’s someone you know (maybe even yourself) but at the same time she grows and changes so much it’s impossible not to admire her. Her best friend Bianca is there for her every step of the way. She’s not as popular as Lainey but the girls have a true friendship that reaches way back. They have an amazing relationshipthat is effortless to understand. Within seconds of Bianca appearing in the book I was completely invested in it. The loyalty and support between these two is completely heart-warming, even though the girls aren’t entirely alike. I loved how Bee was there for Lainey when she needed to be, and managed to always say the right things, without feeling like a superficial sidekick. It reminds how powerful an ordinary friendship can be in a character-driven story, when written well. You can’t help but hate Lainey’s other best friends, Kendall who is overly popular (and obsessed with it), narcissistic and manipulative. But Paula Stokes does a good job developing her and at the end, you can sort of see where she’s coming from…sort of. Micah’s sister was truly adorable. She was precocious enough to give good advice, enough flair to suggest blue clip-on highlights and just young and sweet enough to hero worship her brother and Lainey. Paula Stokes really has a gift for creating side characters. All of them felt so realistic and well-rounded. I’d love to read a spinoff in any one of their point of views. I fell in love with the romance. It may sound cliché but it’s true. The romance was sweet, gradual an thoroughly beautiful. The love triangle was kind of a metaphor: Jason was Lainey’s ex and he was the golden-boy. He was popular and he was the easy choice, the shallow choice. Micah was more difficult. He had tattoos and piercings, he baked pastries and was a bit of a softie inside. His subtle mocking challenged Lainey to step out of her comfort zone and broaden her horizons. Definitely one of my favourite love interests. Other than Lainey’s shallowness in the beginning, there was really nothing I was against. But even then, Paula Stokes was laying the framework for the book so I can’t really complain about that. One of my favourite 2014 releases. This book inspred me to go over The Art of War myself. Maybe I’ll do a follow up post on that someday. In the meantime, go ahead and read this cute, sweet and fun book.